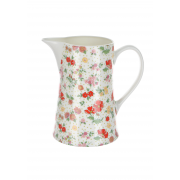 Dress up your dinner table with this Shannon Bridge Jug. 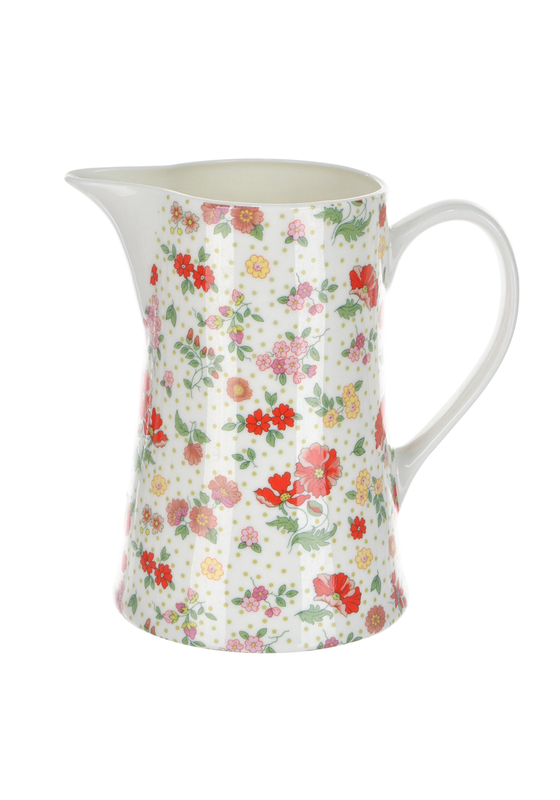 With a Red Daisy Floral Design and a polka dot background this quirky piece will add character and prettiness to your crockery collection. Other matching pieces are available from the Miss Poppie range but are sold separately.